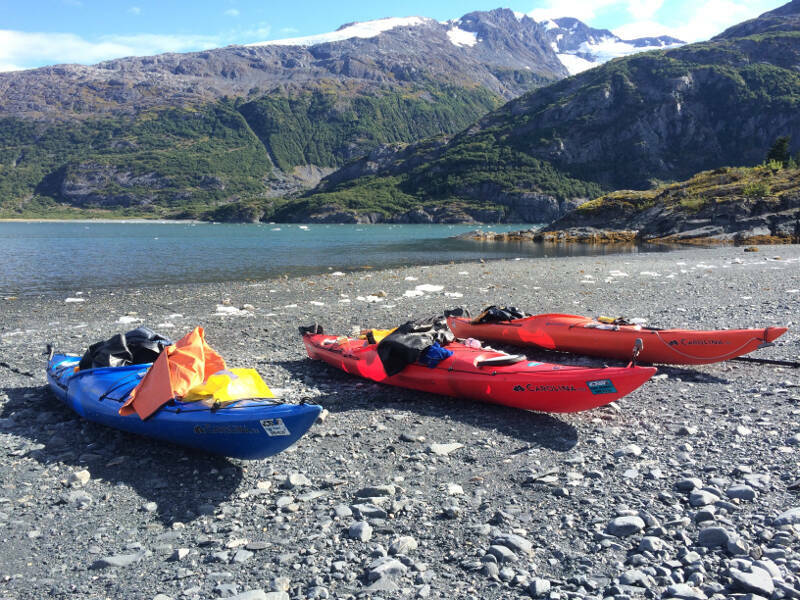 The following trips are just a couple of the many ways to kayak for the day in Prince William Sound. This 8-10 hour trip starts with a comfortable and scenic high speed water taxi, fully enclosed and heated to make the ride an enjoyable addition to your day of paddling. You will arrive on a secluded beach in the calm protected waters of Blackstone Bay. 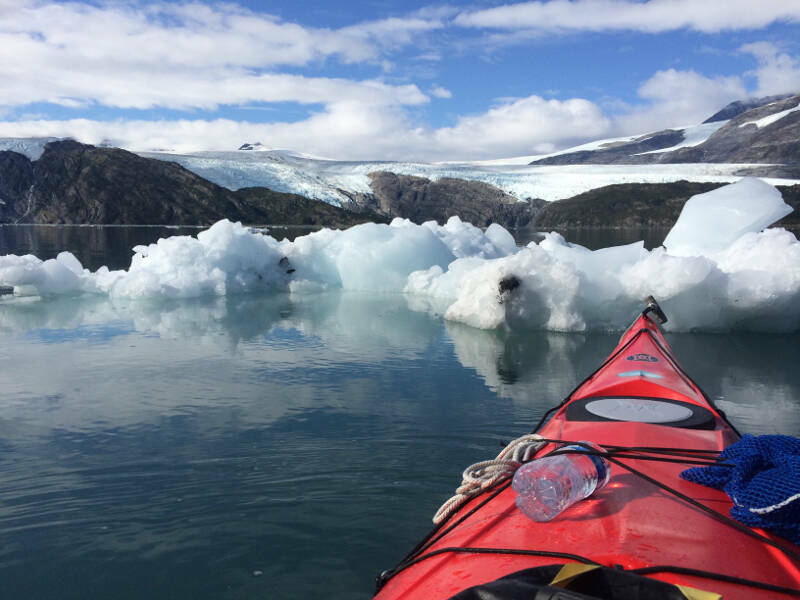 Get an up close and personal encounter with one of the most amazing forces of nature: tidewater glaciers calving into the ocean. Keep an eye out for Oyster Catchers, Pigeon Guillemots, and Arctic Terns while you are watched by inquisitive Seals and Sea Otters. 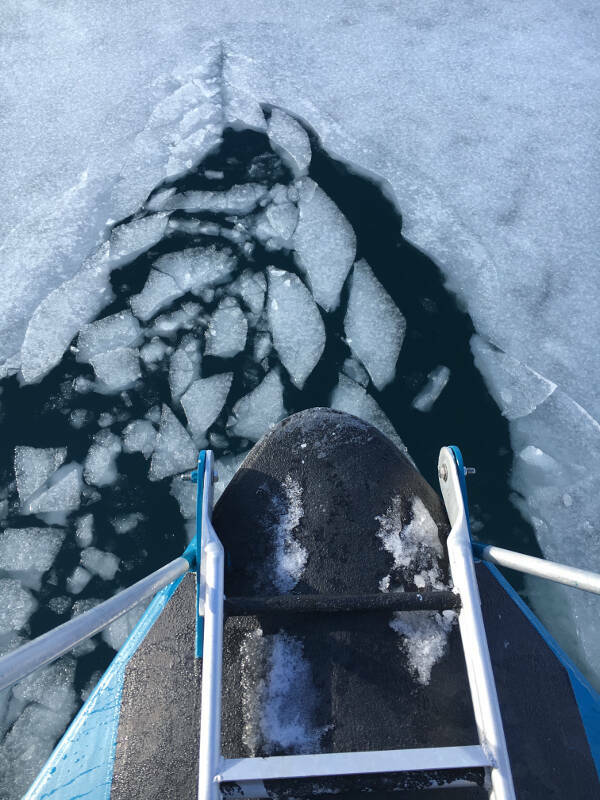 Take a break on a beach for lunch then take to the water again to paddle amongst the beautiful ice sculptures known as "Bergy Bits". 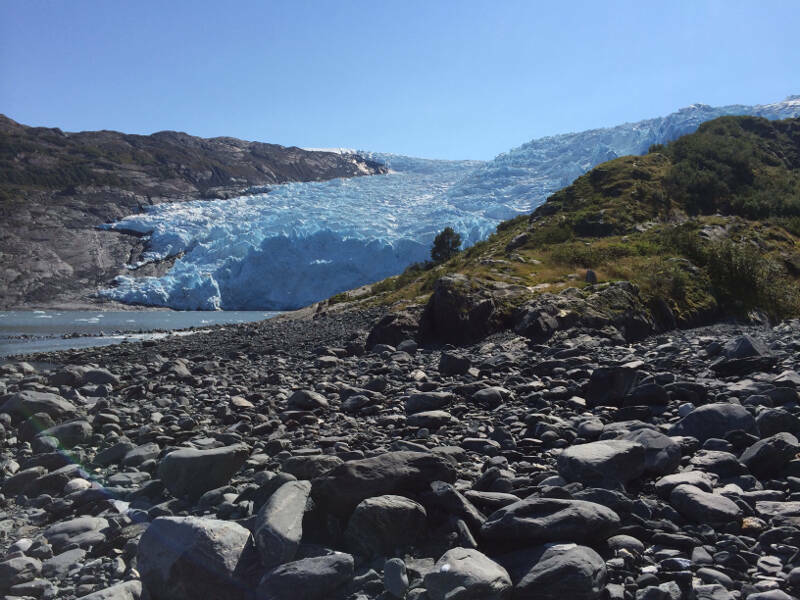 If time allows, you can stop on another beach for a short hike alongside a moving glacier. Conclude the trip with a relaxing water taxi ride back to Whittier while enjoying an icy cold beverage. If you would like to have a guide along to enhance the experience give us a call and we will recommend the best. 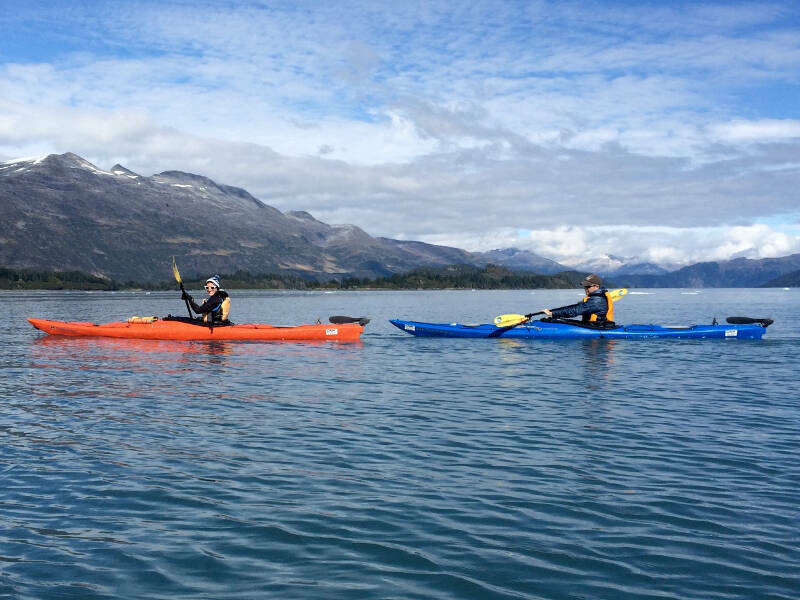 Paddle from Whittier across passage canal to visit thousands of black-legged Kittiwakes. These amazing birds spend their winters at sea and this is the only time they are on land. 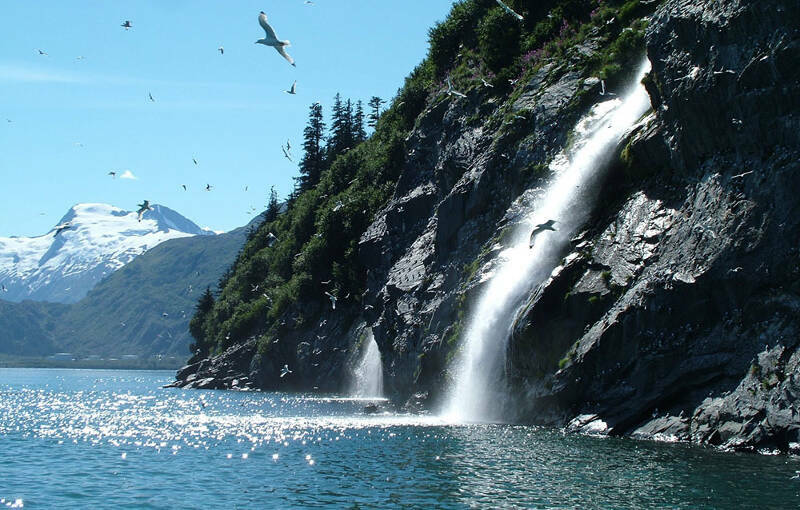 The Kittiwakes nest between waterfalls to protect their chicks from land predators, and the waterfalls alone are worth the trip. 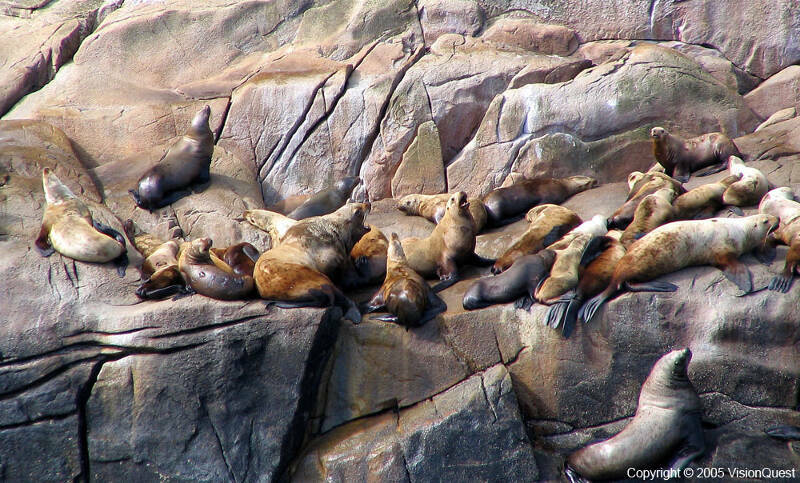 Also to be expected on this trip are Bald Eagles, Peregrine Falcons, Marbled Merlets, and other sea birds. If you are interested in having a guide along give us a call and we will be happy to recommend the best. Cancellation Policy: Reservations canceled within 14 days of reservation will be charged the full price of the tour.